MEDORA, N.D. - The public is invited to "A Taste of Ethnic Christmas" to be held Dec. 9 from 10:30 a.m. to 2 p.m. at the Chateau de Mores Interpretive Center, Medora. Held in conjunction with Medora’s Old Fashioned Cowboy Christmas, visitors can enjoy a served buffet featuring foods from the Ukraine and Eastern Europe. The food is being prepared by Four Corners Café and Catering of Fairfield, ND. Cost is $15 for adults and $5 for children ages 6-12. Children under 6 are free. The Interpretive Center will be hosting an Open House both Saturday and Sunday, December 8 and 9, 1-3 p.m., with kids’ crafts on Saturday. The Chateau will also be hosting a baked potato bar on Saturday from 11 a.m.-1 p.m. as part of the community "Eats on the Streets" event. All event times are Mountain Time. 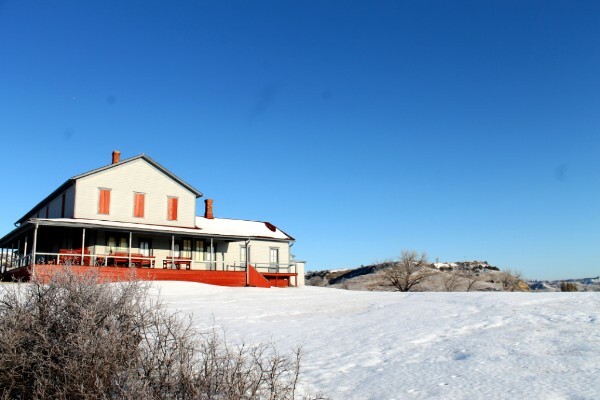 The Chateau de Mores Interpretive Center near Medora is open Tuesday through Saturday, 9 a.m.-5 p.m. (MT). For more information, contact the Chateau de Mores State Historic Site at 701.623.4355. Find out about additional upcoming educational programs sponsored by the State Historical Society of North Dakota at history.nd.gov/events or call 701.328.2666.